Nail art has been accepted widely and it has successfully established itself as an opportunity in business of salon and spa, independently. New pages in the big book of fashion are unfolding everyday and people are actively taking part in it to be known as the next fashionishta. The global nail polish market is expected to reach USD 15.55 billion by 2024, growing at a CAGR of 9.5%, according to a new report by Grand View Research, Inc. 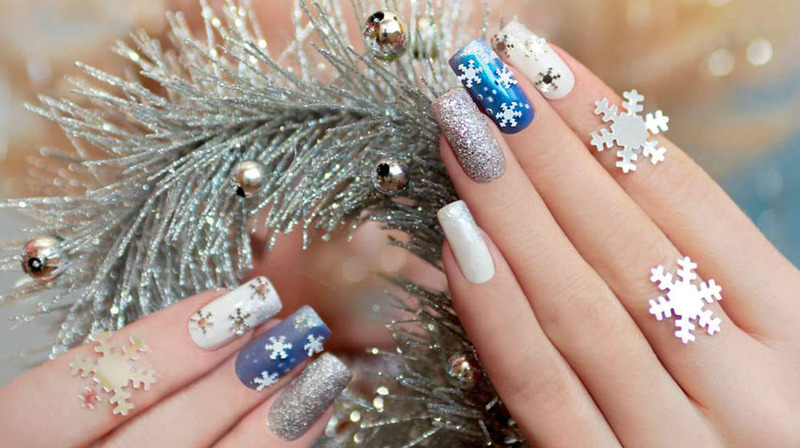 The growing popularity of nail designs among the young population is likely to fuel the demand over the forecast period. At time when brands are playing with variations in producing colors straight from the rainbows and different spectrums, it has also given a wide platform for the nail artists and opened a new refreshing genre for nail spa, which was earlier a part of Spa and Salon. Indian weddings are all about looking glamorous and fashionable, from bride to bride’s friends all wait for the occasion to get dolled up from head to toe. For wedding and festive, matching the occasion with accessories is all girls and women worry about, for which the nail artists have hell a lot of options. For any business to be on top, there should be a constant growth or innovations to look different from the crowd, which will also keep the customers interested. There are constant innovations taking place in the nail art business as well. Earlier this was part of manicure but now it has taken shape of an independent business altogether. One of the heavy buys under the equipment category is a UV lamp which costs Rs12, 000 to Rs 15,000 since it is not manufactured in India and is soured from countries like Australia, Germany, China, Dubai, Russia, Canada and US. Besides this, one has to source different kinds of materials like the acrylic nails, gel nails, acrylic powder, cuticle remover, brushes, nail fillers among various others landing on an average spent of Rs2 lakh per month to be in the game. Fashion and business can never be hold within boundaries based on geographical features. Nail art is a business which has successfully attracted girls from not only metropolitan cities but also tier II and tier III cities. Social media has made it possible for the girls and women of different places to keep themselves up-to-date with the fashion developments, which is why nail art is one of the most in-demand businesses everywhere irrespective of geographical features.